Erick French is a licensed clinical social worker. He has been working as a counselor and therapist in the St. Louis Area for the past 15 years. He is a Hypnotherapist, Traumatic Incident Reduction facilitator, and is trained in Gestalt therapy. Erick’s approach to counseling is strength based and person centered. He focuses on guiding clients toward finding greater insight and creative solutions to the challenges they are facing. He creates a warm and safe atmosphere where clients are free to explore all aspects of their lives. 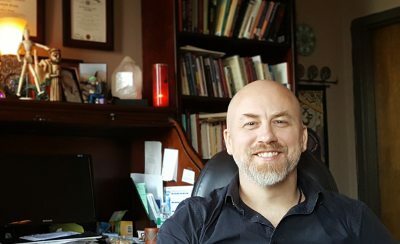 Experienced in a broad variety of treatment techniques that he has gathered throughout his career, Erick personalizes his approach to meet each individual’s needs, helping them to develop needed skills, transform destructive patterns, and actualize greater potential. Erick is also very interested in the relationship between mind and body, viewing it as a mutually influencing dynamic that can be lead through conscious effort. Hypnotherapy is a process whereby the client is induced into an extremely focused state of consciousness called a trance. The trance state allows the client to access deeper levels of consciousness and retrieve information and insight that is otherwise very difficult to access. Hypnotherapy is useful for treating any behavior that a client wishes to change. More than just attempting to extinguish a behavior pattern, hypnotherapy helps clients become aware of the subconscious issues driving the behavior. This empowers clients to address these issues at their core, initiating a permanent shift in consciousness—essentially treating the unwanted behavior’s cause rather than just the symptoms. 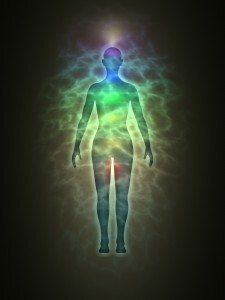 TIR† is a very non-invasive technique for treating PTSD (Post-Traumatic Stress Disorder), anxiety and panic disorders. It is a newer approach that seeks to resolve these problems at their root. TIR eradicates the residual effects of trauma and all of the baggage associated with it, leaving behind greater self-awareness, security and self-confidence. It does all this without interpretation from the therapist. It is a very empowering approach to treating these issues and research is showing radical results.